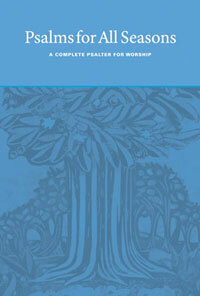 Copyrights for hymnals can be confusing, and Psalms for All Seasons is no exception. For additional questions or clarifications, please email permissions@crcna.org. Please note: To reprint the Psalm Texts or Tones from A Responsorial Setting in Psalms for All Seasons (which are taken from Evangelical Lutheran Worship and copyrighted by Augsburg Fortress Publications) please contact their copyright office for permission. Email Augsburg's Copyright department at copyright@augsburgfortress.org. Authors own the exclusive rights to their compositions. This is called a copyright, and the composition is protected for many years--even if the copyright is never registered with the copyright office. A composition is considered to be "intellectual property". The copyright may be sold, transferred, or inherited--but the copyright still endures. *NOTE: You cannot photocopy or duplicate choral music, octavos, cantatas, musicals, handbell music, keyboard arrangements, vocal scores, orchestrations or other instrumental works, even if it is out of print, without permission of the publisher. Because someone owns the material, whoever wants to reprint it outside of the original form, needs to ask permission and pay for this right. Copyrighted material is indicated by a © at the end of the material (This is where the © is found in PFAS, although this varies from book to book.) This means that in order to use the copyright material, you need to do it legally, and pay the copyright holder what is due. There are multiple options for using the copyrighted material. You can buy enough books for every person who will be singing and/or reading from the copyrighted material; if the congregation sings from the books ONLY, you are using the copyrighted material legally. Or, if you are reprinting material, you need to obtain permission to do so. The questions below outline how to obtain permission. We have registered all of our current and former (CRC Publications) copyrighted material with the two major Copyright Licensing companies – CCLI (Christian Copyright Licensing, Inc.) and OneLicense.net. Please check either of their websites to review specific copyright guidelines. We have identified public domain material as P.D. We have provided (to the best of our ability) the most up to date contact information in the Copyright Holders Index on page 1093 of Psalms for All Seasons. We are available to answer your questions by emailing us at permissions@crcna.org. Material (hymn) is covered by a license such as OneLicense.net or CCLI license. You will need to purchase these licenses and follow their rules for reporting song use. See Question 1 for more information regarding licenses. Material is not covered by a license and you will need to contact the copyright holder. See Question 2 for more information regarding contacting the copyright holders. Material is in the Public Domain (indicated by P.D. in the copyright line). See Question 3 for more information. Material is covered by Creative-Commons Attribution-NonCommercial-ShareAlike. See Question 4 for more information. Material is scripture. See Question 5 for more information. What are Licenses? Licenses are just that—when you own the license, you are allowed to use songs that fall under these licenses. You can search on the sites (OneLicense.net or CCLI.com) to find which songs are covered by these license holders. Some publishers and author/composers register their songs/materials with these companies and by owning a license you are allowed to use the works that are held by these licensing companies. You will need to follow their guidelines for reporting and printing. You also need to print your License number on the reprinted material (in a bulletin or on a screen). For Psalms for All Seasons, you can check the website for each song (see 1A here for an example) and see which licenses you can use for which song. We have done our best to identify these, but we welcome your help if you find any missing information. Please email permissions@crcna.org. What should I do if the material is not covered by a license? If the material is not covered by a license, you will need to write to the copyright holder and obtain permission to use the copyrighted material. We have provided a sample letter for you. Send one copy to the copyright holder and keep one copyright for yourself for your records. What does it mean for material to be in “Public Domain”? This means that the material has fallen out of copyright due to dates or other factors. You do not have to ask for permission to use this material. All compositions which are not protected under copyright law are said to be in the public domain. To help you identify songs that are in the public domain, Faith Alive Christian Resources will put the letters P.D. in the credit line. Please note that some hymns may have a public domain tune and a copyrighted text (or vice versa). If a words and music are in the public domain you CAN do all of the bulleted points above without any formal requests or permissions. Caution: If just the words are in the public domain but not the music (or vice versa) you are obligated to obtain permission for the copyrighted material. What does it mean for material to be Creative-Commons Attribution-NonCommercial-ShareAlike? This license allows the indicated material to be remixed, tweaked, and built upon noncommercially, as long as the new creations are credited and licensed under identical terms. In other words—you can use the material and change it to fit your worship setting, provided you do not sell it and you use the same copyright line that was on the material originally. What should I do if the material is scripture? The scripture found at the beginning of each Psalm setting is from the New Revised Standard Version of the Bible. Please follow these guidelines. For the NIV or Message texts, please follow the appropriate guidelines. Some of the copyright lines point to multiple parts and multiple copyright holders; do I need to ask permission for all these parts? Yes! Where is the Copyright Line? The Copyright Line is located at the end of each selection. How do I read a Copyright Line? Break it down into parts (this example is from 23B "The LORD, My Shepherd Rules My Life"). Music (CRIMOND 8.6.8.6): Jessie Seymour Irvine, 1872; harm. David Grant, 1872; desc. W. Baird Ross (1871-1950), P.D. In this example, the Words and Music are the two main parts. Look at each of these separately. The Words are written by Christpher Idle, copyrighted by the Jubilate Group, administerd by Hope Publishing Company. In this case, you can use either a CCLI License or a OneLicense.net Licence. If you do not have a license, contact Hope Publishing Company. The Music was written by Jessie Seymour in 1872. The harmony was written by David Grant in 1872 and the descant by W. Baird Ross, who lived from 1871-1950. All of the Music is in Public Domain. What do all the abbriviates mean? In this example there are many abbriviations used throughout Psalms for All Seasons. We have a complete list printed here for your convience.